"Papayas following in footsteps of mangoes and avocados"
Papayas are becoming a stable product group within Yex's tropical fruit range. "We import Golden and Formosa papayas year-round from Brazil. 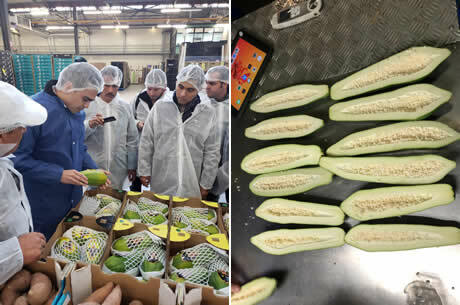 These are supplemented by Solo papayas from Ghana and cooking papayas from Thailand", says this Dutch company's Account and Product Manager, Enmanuel van Voorthuizen. "The Solo papayas from Ghana are similar to the Golden papayas. With these, we have a nice alternative available, should there be a shortage." Left: Enmanuel with suppliers from Guatemala and Mexico, who are focused on Europe. Right: Thai cooking papayas, also called green papayas. At the moment, there is, in particular, a shortage of Formosa papayas on the market. "It has rained a lot in Brazil. 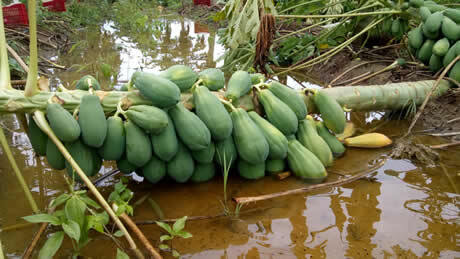 Growers are, therefore, having difficulty harvesting the papayas. All this rain has also caused some quality issues too," says Enmanuel. "The prices of Brazilian Golden papayas are also somewhat higher this year. This hike in price is as a result of fewer trees being planted." 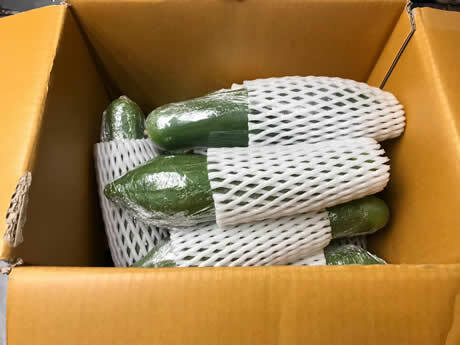 Yex brings the papayas in exclusively by plane. "They are imported by boat too, but we have them flown in. The longer they hang on the tree, the better they taste. There is an enormous difference. Of course, the costs are higher. However, you then have genuine, fresh Ready-to-Eat papayas at your disposal", the importer explains. Germany and Scandinavia are Yex's more important papaya sales markets. "Our Scandinavian clients want mostly green papayas. There can be a bit of color for the German market," Enmanuel says. "The demand for papayas is very stable throughout the year. There is usually a peak during the Festive Season." Thai cooking papayas, used for dishes such as salads. Enmanuel sees a bright future for papaya sales. "There are more people using papaya in their yogurt with muesli, also in the Netherlands. The cooking papayas from Thailand are used a lot in salads. I expect sales to increase in the coming years. Just as it did with mangoes and avocados." "People are going on more and more holidays to Asia and South America. There, the papaya is a permanent fixture in the kitchen. I, myself, come from Venezuela. We used to have a papaya tree in our backyard at home," concludes Enmanuel.